Thousands of teenagers die in car accidents because of drunk driving every year. Overall, the rates of incidents involving alcohol-related offenses are much higher for those that are under 21 years of age. For several decades now most states have adopted a zero-tolerance for underage drinking and driving. In fact, Federal incentives are in place for states to do this. Here we will take a look at the facts you need to know when a minor gets a DUI in Arizona. One of the biggest issues with those who are underage and found to be drinking and driving is the fact that anyone under 21 is not supposed to drink alcohol at all. If an adult is pulled over on suspicion a driving while intoxicated the law says that they have to register a .08 to be legally drunk. With someone under the age of 21, this is not the case. They are not supposed to drink and therefore if any alcohol is found in their system it is a criminal offense. This means that even a traceable amount of alcohol in the bloodstream, when stopped by police, can result in an arrest. If the person is found guilty, the penalties can be very harsh. Those who are under the age of 18 will have their case processed differently than those who are over 18. Although they are not yet old enough to drink alcohol, if they are over 18 years old they are considered adults and will be tried as such. If someone is under the age of 18 and tried as a juvenile, their penalties will almost always be less severe than someone who is 18 or older. Juveniles will often escape any type of jail time whereas those over 18 will likely have to do some. A teenager under 18 years old may have their license suspended for up to two years and they may be required by the court to attend a program for substance abuse. If the blood alcohol content was high then the penalties can be higher for that reason. Those who are 18 years old or older can be sentenced up to six months in jail. They can lose their license for as long as 24 months and may have an ignition interlock device installed for as long as three years. These teenagers, who are considered adults, although not yet allowed to drink, can also receive fines up to $5,000. Can A Teenager Get Jail Time If It's Their First Offense? If they are under 18 years old it is unlikely that they will get any jail time. But the so-called no tolerance laws were put into place deliberately so that the court system was able to enforce very harsh sentences for first-time offenders. This means that if you are 18 years old but not yet 21 then you are tried as an adult and your sentencing is very often much harsher than someone 21 years old or older would have gotten for the same offense. The law justifies this because they are saying that the person was not allowed to drink any alcohol under the law. If a teenager refuses to submit to alcohol testing they could lose their license for 2 years or more. The reason that this is allowable under the law is because many states have what is called implied consent. This means that because the law considers a driver's license a privilege then anyone who holds a driver's license has given their implied consent to alcohol testing. This, in turn, means that if they refuse to submit to a test then they are guilty by default. In addition to the other things already covered above, there is also the fact that it can impact the child's educational opportunities and career pursuits. It can also significantly raise the cost of car insurance for the individual. If convicted, it is something that will remain on the individual's record and if a background check is run, it will show up. These facts can greatly impact their lives for many years into the future and mean that they may not get admitted into a college of their choice or accepted at a job they applied for. If a teenager is arrested for DUI in Arizona it is imperative that a professional lawyer experienced in your area of law is retained. Those who have been arrested will almost always be convicted if they do not get representation. 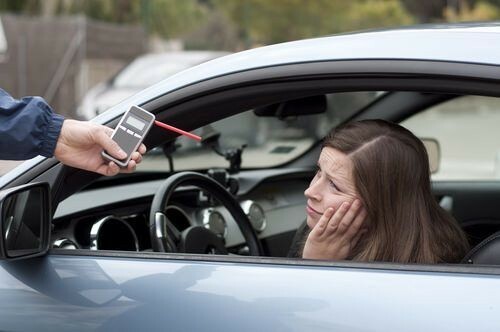 An Arizona attorney who specializes in representing those who have been arrested on DUI will know a number of ways in which they can either get the charge dismissed or reduced. Because this type of conviction can have such a long and significant impact on the person's life, it is well worth getting a good lawyer to fight the case.